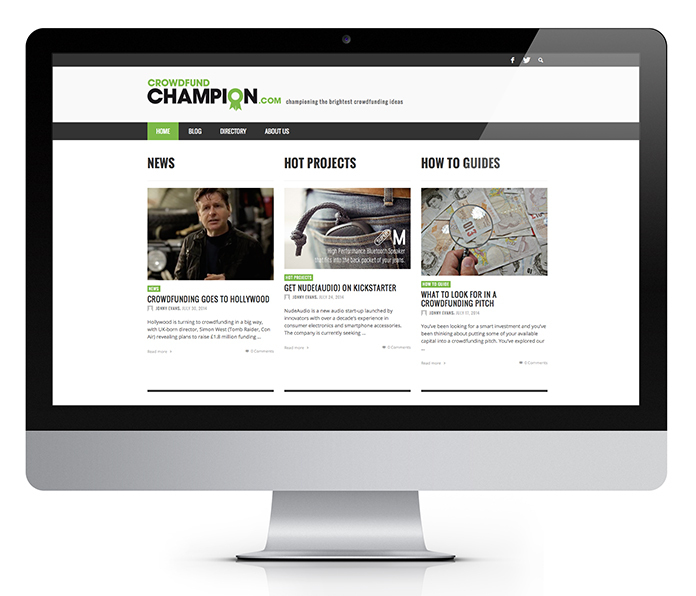 Share the post "Crowdfund Champion"
Crowdfund Champion, is a new website from content specialists Futurity Media and mobile & startup PR agency Mustard PR. The new website has been launched to to provide everything investors need to make use of the fantastic opportunity of crowd funding platforms. Working with both Futurity and Mustard PR, I devised the logo and branding for the new website.